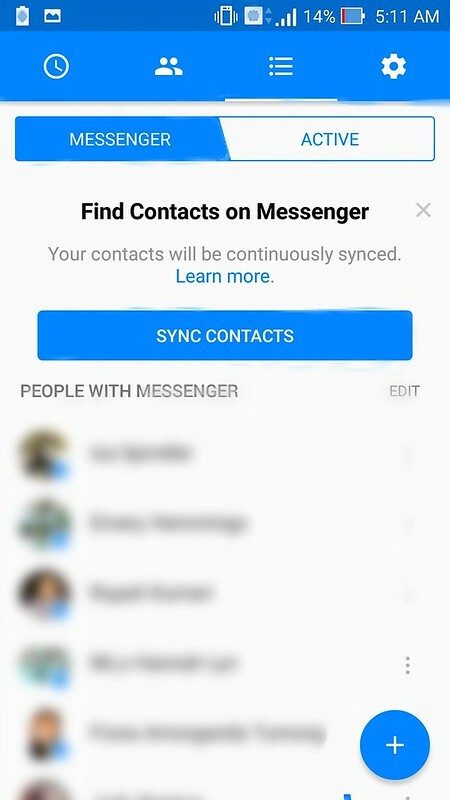 Just a couple of days ago, I had written about some changes in the UI that may be implemented soon on Facebook Messenger. 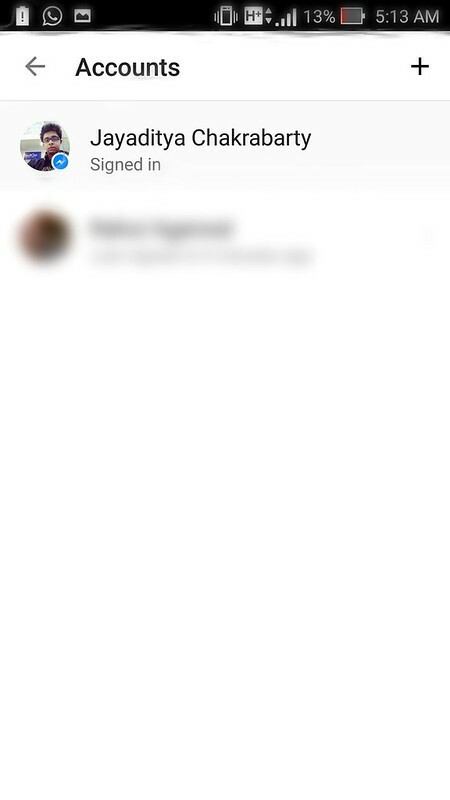 Also, there’s a hint earlier as well that Facebook Messenger may completely look different if they use Material Design. 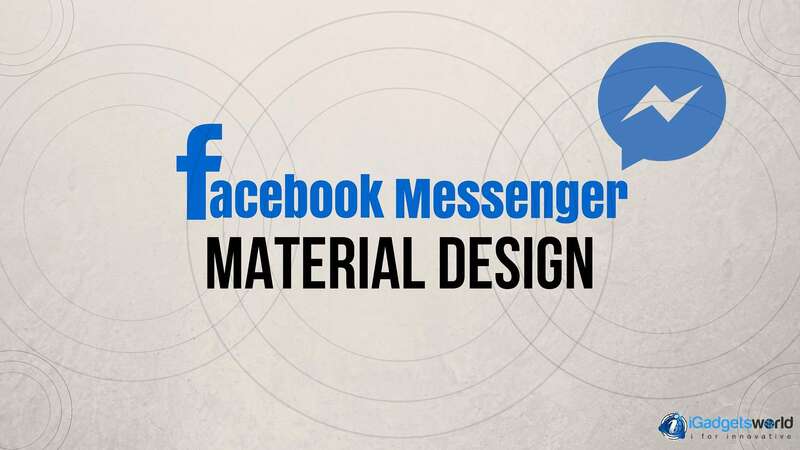 Well, Facebook is testing it yet and just now I got an update which completely transformed Facebook Messenger into a new look, Material Design is now live for Facebook Messenger, currently for beta only, I guess. Yes, you heard that right. 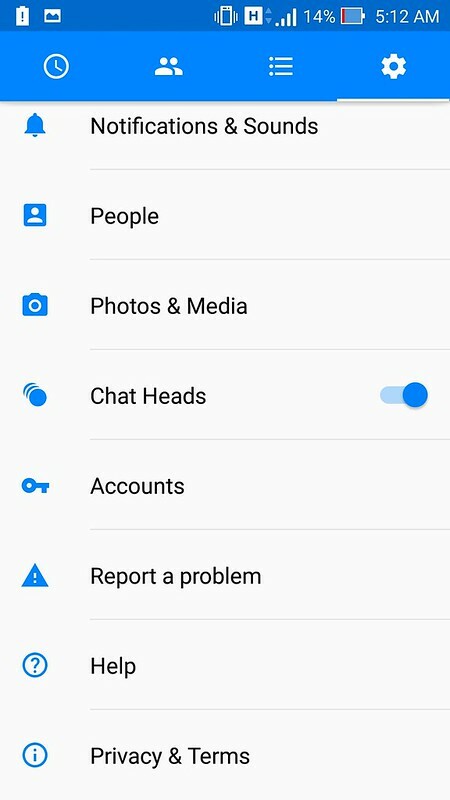 Facebook Messenger will probably get the multiple account support soon. And Material Design looks clean and smoother experience, at least, that’s what I felt. Facebook also seems to be working on integrating SMS into the Messenger just like Google Hangouts. However, SMS is dead and people now rarely use it, but it can boost the reach of Messenger as it can act as the default SMS app and people are more likely to use it as their default messaging app, who uses Hangouts? The Material Design actually looks way better than its previous look. But the main thing that caught my attention is the multiple account support, which is great if you manage multiple accounts (Another reason why fake profiles will get active soon) or probably you share your phone with family or may be friends, sometimes. You can switch between accounts very easily. However, Facebook made it clear that if you add a secondary account, you can choose the option to prompt for a password each time you switch to the secondary account. It’s great because you won’t have to worry about your privacy when you use Messenger on any other guy’s phone. Now, that’s great. 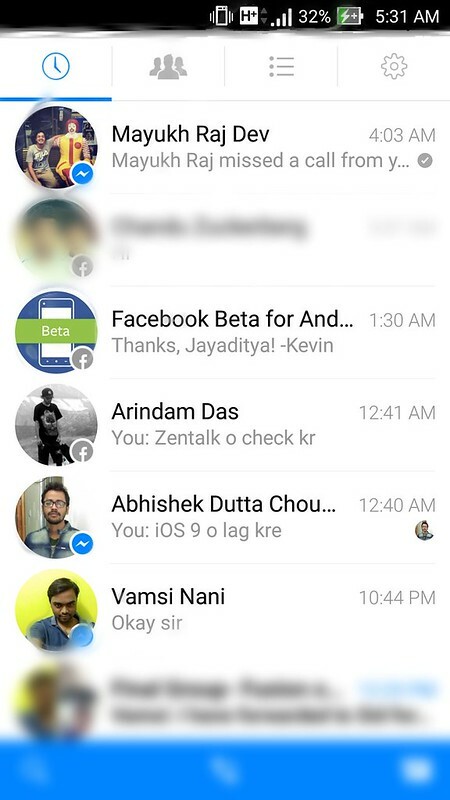 But the Material Design is something which completely changes the look of Facebook Messenger. 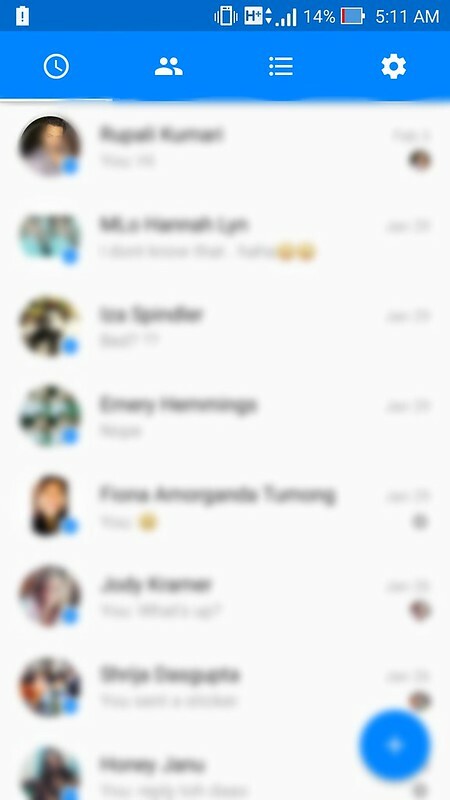 Now, you can see the tabs in Blue themed color, same as the theme color of Messenger app. The tabs can be accessed with a slide, also, the icons for new message creation and everything have changed a bit. And in case you’re forgetting. This is the old look. Meanwhile, I got some interesting news that SMS integration and payment options are being included for users in the US. Probably, the SMS integration will start rolling out soon in other countries as well soon. Previous articleAsus ZenFone Zoom Review: Is It Really The Best Camera Smartphone? Next articleValentine’s Day is Here – Check out our Best Gift Idea!